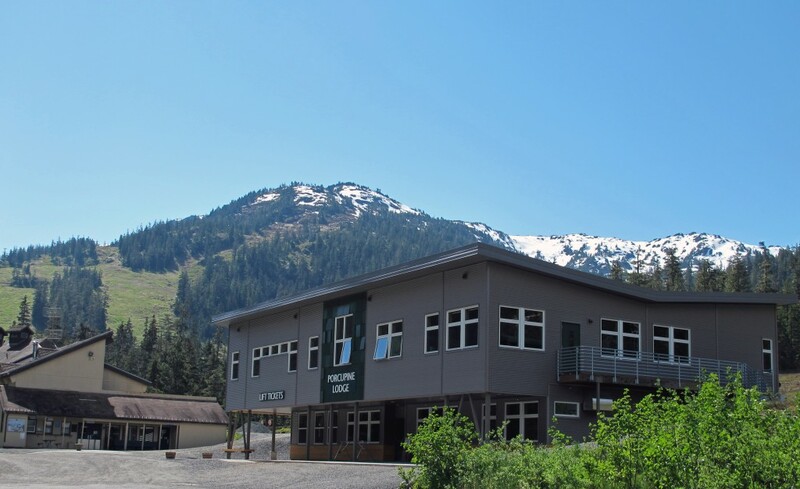 Located less than 30 minutes from the downtown district of Alaska’s capital city, Juneau, Eaglecrest is the only developed ski destination in Southeast Alaska, and as such, generates much excitement among outdoor enthusiasts. How much can one ski? Inside the boundaries of Eaglecrest are four double chairlifts, 640 acres of terrain, 1,540 feet of vertical drop, and a friendly, welcoming community of snow sport fanatics who love to chat up visitors. 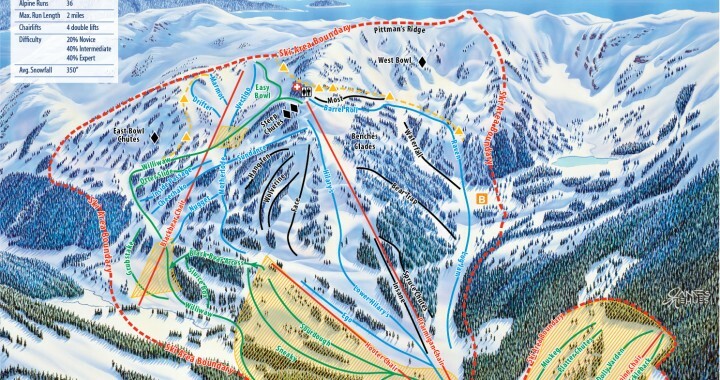 There’s something for everyone, whether your family of winter adventurers is made up of beginner, intermediate, or expert skiers; 20% of the runs are novice (green circle), 40% intermediate (blue square), and 40% expert (black diamond). Kids will find plenty of social trails and little bumps to explore, and grownups will appreciate views from the top with Gastineau Channel and Juneau spreading out, below. Since 1976, Eaglecrest Ski Area has been providing wintertime outdoor recreation opportunities for snowboarders and those alpine and cross-country skiers. The 2015-2016 season marks 40 years of operation at this city-owned resource many locals call “The Nest,” and oh, what a party there’ll be in January (stay tuned). Porcupine Lodge, Eaglecrest’s newest addition, officially opened its doors September 19, 2015, and sits at the base of the mountain with easy access to beginner slopes and adjoining runs. 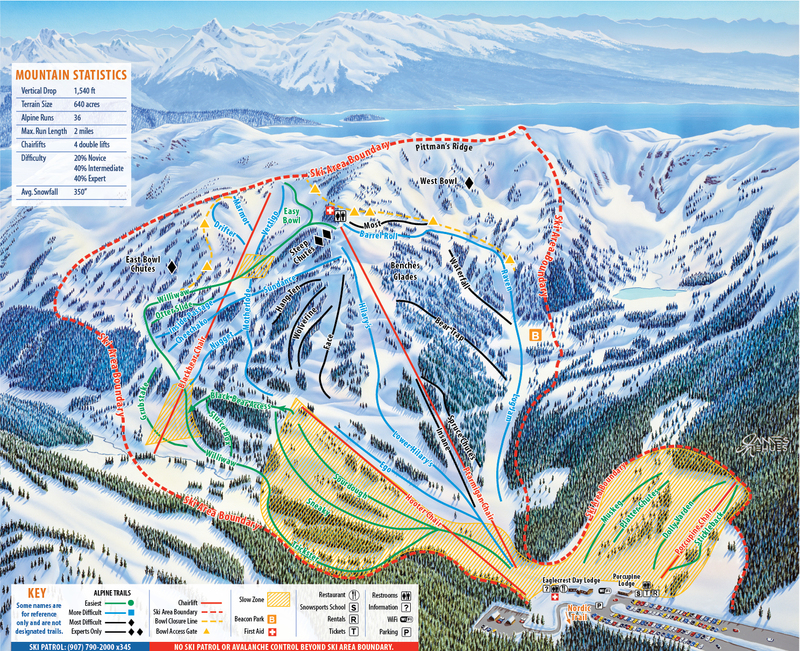 Here, find lift ticket windows, the ski rental shop, an adaptive ski skills program, and the base of operations for Eaglecrest’s ski school that offers programs to kids as young as three. Both of my boys started their ski lives with the ‘Wee Ski’ program, one of many learning opportunities Eaglecrest Snow Sports School offers in single or multi-day formats. From day one, ski school staff were safe, engaging, encouraging, and full of fun, and within the first three lessons, both boys were hooked, and they have been enjoying their downhill experiences ever since. As a parent, it’s obvious Eaglecrest’s ski school prioritizes mentorship between the more skilled teachers and younger up-and-comers, usually college and high school instructors. Even middle school-aged skiers are included in learning programs as chairlift “buddies” for the youngest learners, furthering Eaglecrest’s commitment to its community of multiple generations. Planning on skiing over the winter breaks? A Multi-Day Pass option allows for 5, 10, or 15 days of skiing at reasonable rates that save both time and money (there’s even a lower mountain 5-day pass for $69-$99). Multi-day passes range from $124-$449, depending upon age and days desired. If nordic skiing suits your style, Eaglecrest offers groomed trails that range from easy to difficult (see indicators, above), and offers private or group lessons in both classic and skate styles. Juneau 5th grade students are lucky in 2015-16; the Eaglecrest 5th Grade Passport Program is a kid’s free lift ticket into skiing bliss. Arrange with teachers and the school to present a copy of report cards or a progress report (or even a letter from the teacher) and join Eaglecrest for a free lesson and free equipment rental. 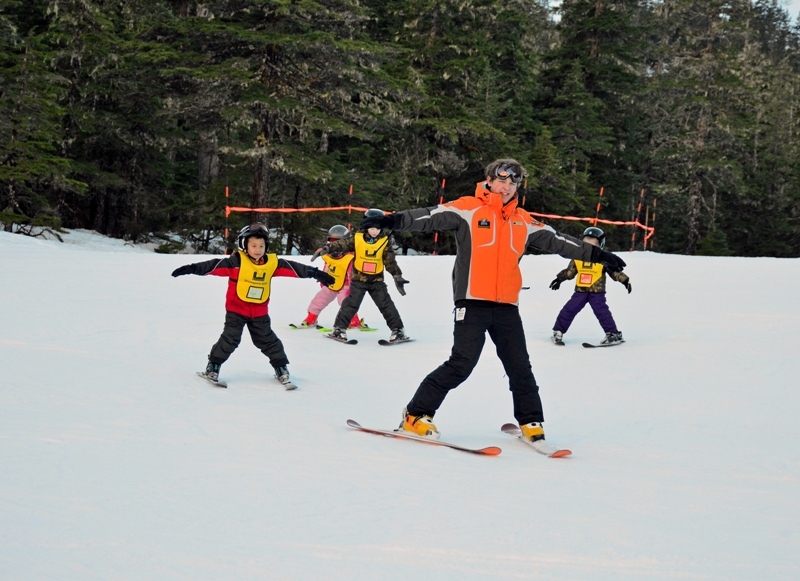 Geared toward the age when kids tend to drift away from sports in which they may not excel, the program seeks to encourage physical fitness and a chance to hang out with one’s peers on the slopes, promoting both confidence and a healthy lifestyle. For more Eaglecrest information, do follow the ski area’s comprehensive website and Facebook page for up-to-date events and current mountain conditions. Remember though, one aspect that cannot be captured online is the supportive and friendly nature of this community; the strong soul and heartbeat of Eaglecrest. From friendly and helpful staff to the people who visit this mountain, ski, ride, and take care of one another, Eaglecrest is a wonderful skiing family that is Alaska. Early Bird Season Pass Rate- Ends November 8. First day of scheduled operations- Saturday, December 5 If snowfall permits, (do your ‘snow dance’ now) Eaglecrest’s season will open Thanksgiving weekend starting Saturday, November 28. Fly Alaska Airlines to Juneau, from either Seattle or Anchorage. Rent a vehicle from Avis and be assured of a safe, comfortable, clean car or SUV to get you around town and up the mountain. 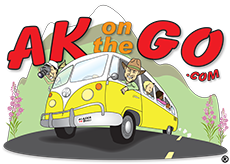 Stay at one of many available accommodations in Juneau; try the visitors bureau for a great listing of affordable options. 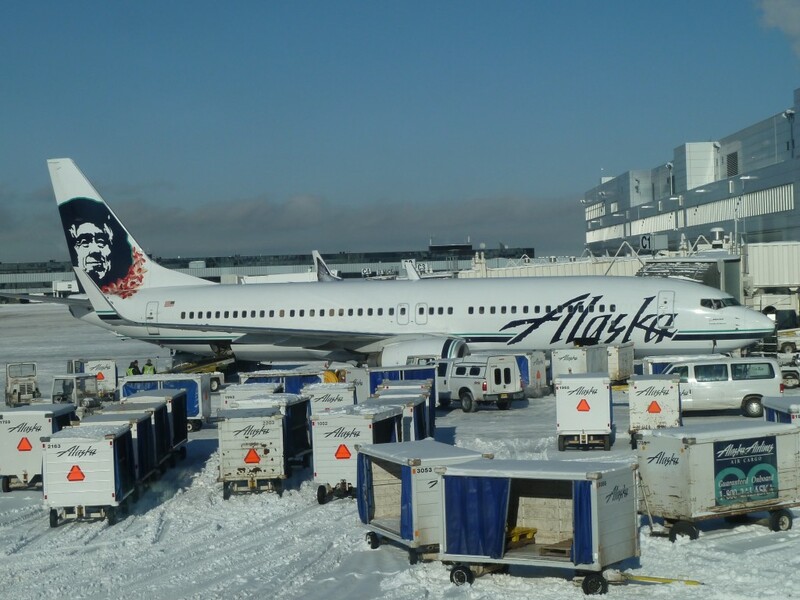 Posted in Alaskan Winter Fun, Southeast Alaska and tagged Eaglecrest Ski Area, Family Travel, Juneau, Skiing, winter in Alaska.